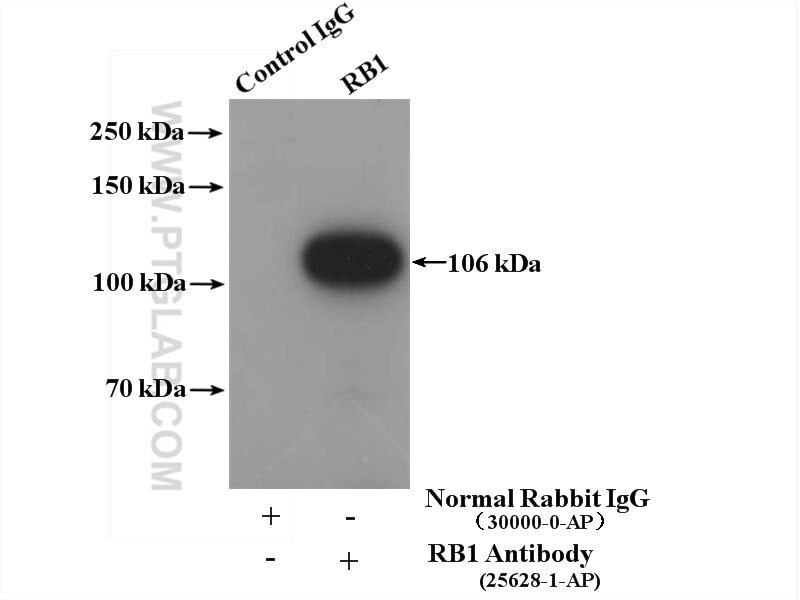 IP Result of anti-RB1 (IP:25628-1-AP, 4ug; Detection:25628-1-AP 1:300) with Jurkat cells lysate 3400ug. 14-3-3ε is a nuclear matrix protein, and its altered expression and localization are associated with curcumin-induced apoptosis of MG-63 cells. Ribociclib, a selective cyclin D kinase 4/6 inhibitor, inhibits proliferation and induces apoptosis of human cervical cancer in vitro and in vivo.